Peggy Moore, R.N., worked hard at her chosen profession, and she was proud of being a fine nurse. But when it came to ideals and dedication, she couldn’t compare to her brother, Dr. Sam Moore. 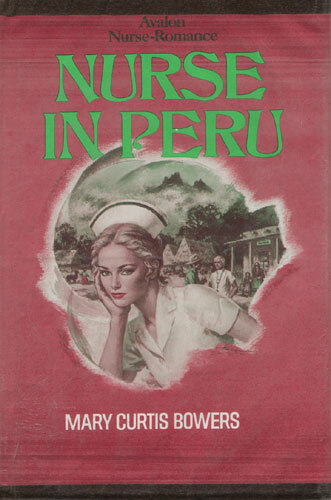 It was Sam who urged Peggy to join him for a year when he agreed to work in a small jungle hospital on the vast Peruvian estate of Shawn McGregor. At first Peggy was unenthusiastic about being a nurse in a steamy jungle when she could perform the same chores in a comfortable doctor’s office. And she blamed Shawn McGregor for luring her brother down to his hospital. She grew even angrier at Shawn when her brother grew weak from overwork. But most of all Peggy hated Shawn for making her fall in love with him…when she had as much chance with the man as an icicle did in the simmering jungle.